The Omni Parker House is celebrating completion of our extensive $30 million dollar renovation. 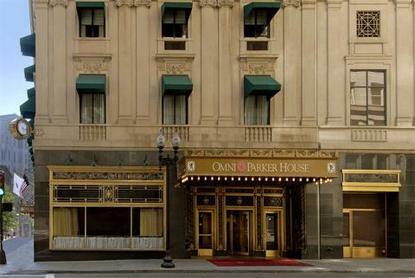 As you pass through the sculpted bronze doors of this four-diamond, four-star luxury hotel, you will be enveloped by the timeless beauty that has made the Omni Parker House a Boston landmark since 1855. We are proudly celebrating over 150 years in hospitality excellence as America longest-continuously operating hotel. This year, celebrate our $30 million dollar restoration and renovation, making the Omni Parker House the perfect blend of modern amenities, vibrant furnishings, and historic charm. All accommodations including guest rooms, exterior facade, meeting space, gym facility, Parkers Restaurant, Parker Bar and The Last Hurrah are completely restored.